Home > Blog > Perfect Pins! Say hello to a brand new collection: enamel pins! We're so excited to share our first ever enamel pin collection with you today. We've got three designs available with many more to come soon! 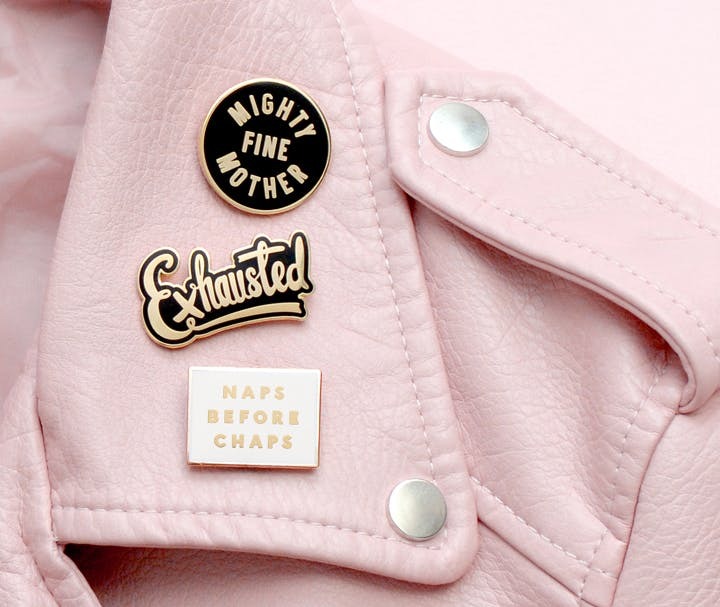 'Mighty Fine Mother', 'Naps Before Chaps' and 'Exhausted' have all been made from gold toned metal and high quality hard enamel. They are sent backed onto a card and packed in a cello bag. Our pins are perfect for jazzing up jackets, bags, backpacks and all sorts of other items. They are the ideal size for popping inside a birthday card as a little extra treat! You can check out our new pins by clicking here.